European case manufacturer Anidees have been a little quiet of late. They hit the ground running with the well regarded AI6, and followed up with the mATX AI4 in 2013, but have largely kept off our radar since then. That hopefully changes today with the announcement of imminent UK availability of the brand new full-tower AI8 design. The AI8 takes its design cues from the diminutive AI7 rather than the sleek and sophisticated AI4/AI6 designs, prioritising air flow (and hence cooling performance) over the aesthetics. A large portion of the front fascia is devoted to a wireframe mesh, showing off the case's triple-fan front cooling capability which seems ready-made for a 360mm radiator. Two 5.25" bays at the top are suitable for either optical drives, or with increasing frequency fan controllers and drive-bay water-cooler reservoirs. Internally the AI8 appears to be up to modern standards with regards to cable management (including grommets), but skimps on space for storage drives. Although a removable cage is included for two 2.5" SSDs, the majority of mounting points are hidden in order to provide as much room as possible for system hardware and water cooling. Nonetheless Anidees claim the case supports up to five 3.5" HDDs or four 2.5" SSDs, which should be plenty. Something of a party-piece is room for an additional PSU in the roof, which could be of interest to those with truly extreme setups. The AI8 can accommodate three 120mm or two 140mm fans in the front (all dust filtered), two 120mm or 140mm fans in the top, and one 140mm fan in the rear. 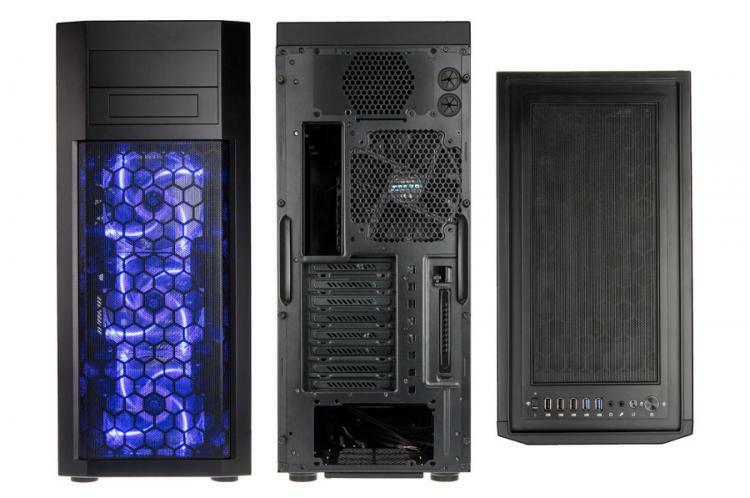 One 140mm (black) and three 120mm (blue LED) fans are included as standard with the chassis. By removing the modular drive cage the front should be able to fit thick 360mm radiators, although as usual mounting positions for pumps and reservoirs could prove to be slightly more limiting. Motherboards up to the defunct XL-ATX standard are supported, including the more common EATX and ATX designs, and eight PCI slots at the back will be just enough for up to quad-GPU configurations (depending on the motherboard layout). One distinct PCI slot, oriented perpendicular to the other eight, will be ideal for some of the more simple fan controller designs, additional USB back panel brackets, and other small controller devices such as switch banks. Front panel I/O, located at the top of the chassis, is about as comprehensive as you can ask for. Two USB 3.0 and three USB 2.0 ports are all supported, which is an ideal compromise considering most motherboards still only support a single USB 3.0 header, as well as headphone and mic audio and a simple 2-speed fan controller. 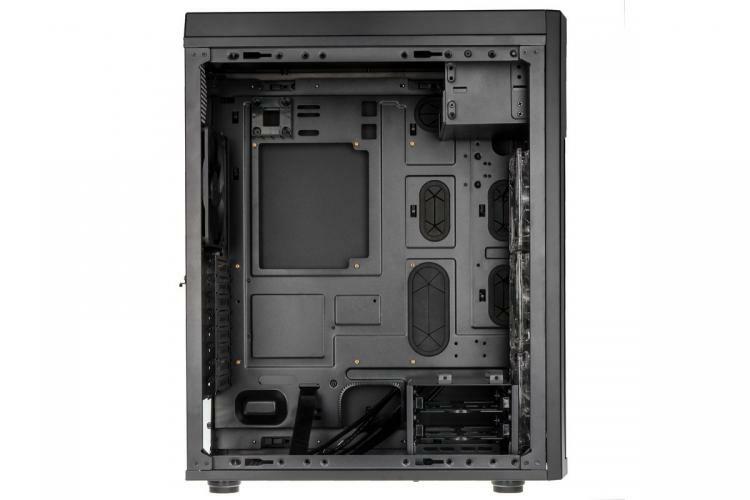 All in all Anidees' AI8 appears to be a well-rounded case without too many fripperies that should do reasonably well as a blank canvas for water cooling projects. 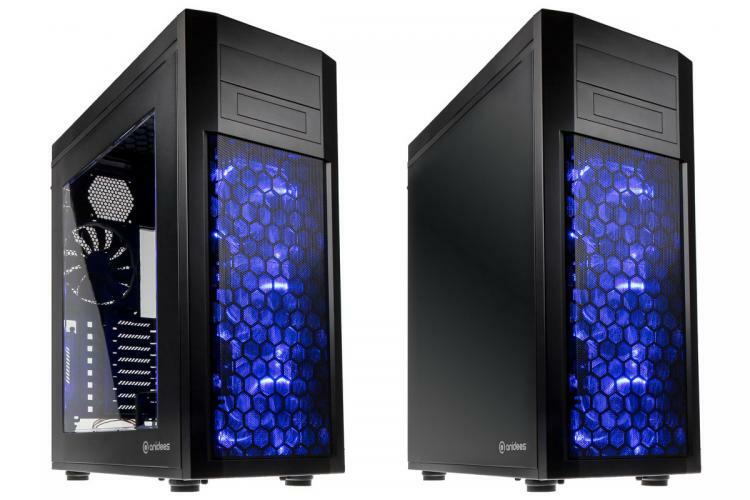 It also comes in at an attractive price, with pre-orders currently available from Overclockers UK for £96.96 (windowed) or £89.99 (non-Windowed) inc. VAT. For more information visit the Anidees Official Website for the dedicated OCUK landing page at https://www.overclockers.co.uk/LP/anidees-ai8.php.